Asia Pacific Superyachts Indonesia is delighted to announce the addition of two new members of the APS Indonesia team, the Dive and On Board Vessel Support Guides, serving APS Indonesia regions and yacht clients. "Dr Andy Lewis and Pak Arief are now added to our already skilled and diverse team", announced Captain Jimmy Blee of APS Indonesia: "Bringing Dr Andy and Arief on board with APS Indonesia has just enhanced the menu of Guides and Vessel Support we already have on offer to our Captains and clients". Both of the gentlemen come from vastly different backgrounds, notes Capt Jimmy: "Dr Andy is one of the foremost Marine Biology experts in his field. 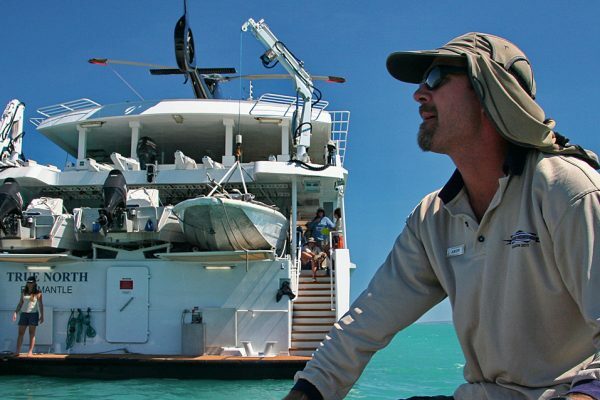 Based at James Cook University in North Queensland, Andy spent years on boats in Indonesian waters doing research and survey work. For the Owner or guests who want to know the full scientific understanding of what they see when diving and or the true and real effects climate change is having on reef systems in Indonesia, Dr Andy is the Guide for that trip". Regarding the new APS Dive Guide, Pak Arief, Jimmy comments, "Arief, on the other hand, is of homegrown dive stock. He has been guiding and diving through the Indonesian waters for the last fifteen 15 years. His first-hand knowledge of all the dive sites, his wonderful warm Indonesian personality and his sensitive understanding of local people and the challenges that can often arise for boats in remote areas, all contribute to making Arief the ideal individual to have on board for extended cruising". "Asia Pacific Superyachts Indonesia welcomes Dr Andy and Pak Arief on board. We, as a team, look forward to servicing and supporting any boats coming to Indonesian waters", concludes Captain Jimmy Blee of the agency's new Dive Guide and On Board Vessel Support Guide.